From the wild ponies of Maryland’s Assateague Island to the Arizona birthplace of Sandra Day O’Connor, the first woman on the Supreme Court, kids will love learning about the 50 states from coast to coast. 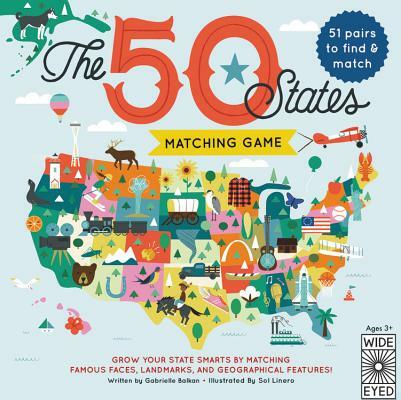 From Rock Point’s much-loved 50 States series, The 50 States Matching Game is perfect for toddlers developing new vocabulary, as well as for older kids learning about the history, people, and culture of the United States of America. The home of the world’s most active volcano.